Was.married.to kevin c euman 28 yrs..divorced in 03..
Over tim things wasn't good..so I left n moved to Mo..where talked to.tim..then.we.dated.n got.married after.my div..tim had been married 7yrs to Tonya..an was div for while..
SHERRY MENDES Euman-Smith has a birthday today. SHERRY MENDES Euman-Smith posted a message. 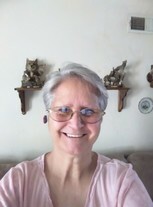 SHERRY MENDES Euman-Smith updated her profile. View. SHERRY MENDES Euman-Smith changed her profile picture. SHERRY MENDES Euman-Smith added a photo to her profile gallery.